Hi Kurt, The date hasn't been determined yet. The date hasn't been posted yet. But you should try to attend. i so wish i could go! hello! will there be any way to view the festivities online? Through the Black-Tie Awards Gala, Cannabis Science intends to celebrate the Company's accomplishments in the medical-cannabis industry, along with those who have been instrumental in the Company's achievements, namely its many partners, individuals and companies, its shareholders and key industry individuals are slated receive the Awards. 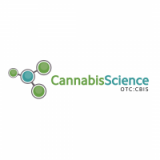 The program for the Cannabis Science Black-tie Awards Gala will include cannabis treatment success stories from patients and physicians, live entertainment, fundraising auctions, and updates from the Company about new drug developments and future expansion plans. The Black-Tie Awards Gala will also showcase Cannabis Science's new Pharmacies, and Mr. Raymond C. Dabney intends to Award his loyalty shareholder gifts to shareholders at this event. The Company is looking forward to creating a full day of events possibly including conferences, workshops, mixers, and all cumulating to the Black-Tie Awards Dinner. This long-awaited event will be jointly hosted by Cannabis Science and some of its partners and will raise awareness and funds for increased proper clinical medical cannabis research to develop medicines to treat critical ailments such as various cancers, chronic pain, post-traumatic stress disorder (PTSD), neurological disorders, and many more.